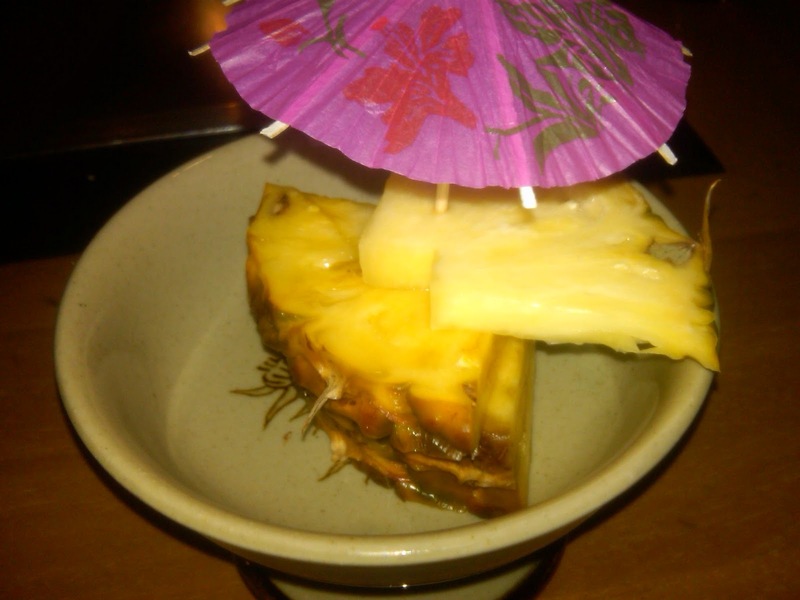 Gluten Free Beat ®: Benihana - Where Entertaining and Gluten Free Accommodating Meet! Benihana is one of my favorite restaurants. Rocky Aoki, Benihana's founder, had the brilliant idea to combine entertainment with dining. Benihana has great chef's that also bend over backwards to make sure you enjoy your dining experience, and Benihana is always an experience. P.S. 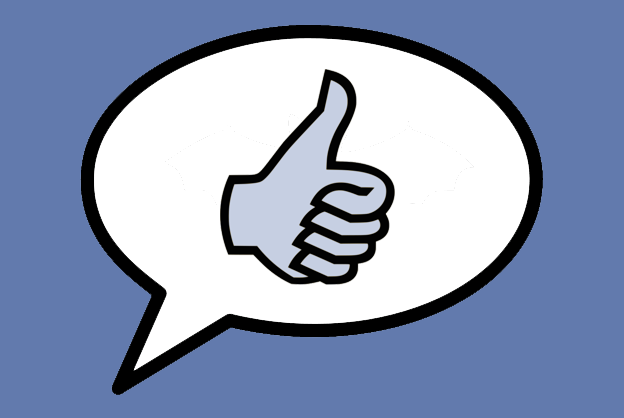 - they have locations all across the U.S., Latin America and the Caribbean! I was thrilled to hear the chef's would also bend over backwards to accommodate my gluten free needs! I brought my own gluten free soy sauce in hand as well as a table full of friends. For those of you that haven't been to Benihana before, you share a table with 8 people, if you don't come with a party of 8, you will be seated with strangers, and sit around an open grill. 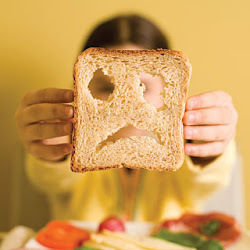 For us gluten free folks, my recommendation is that you bring 7 other gluten free folk with you (lessens chances of any cross contamination). Your meal is cooked to order, just the way you like it! 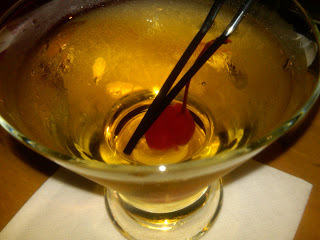 I started with a glass of plum wine, one of my favorites! It's a very sweet wine, which is what I love most about it! 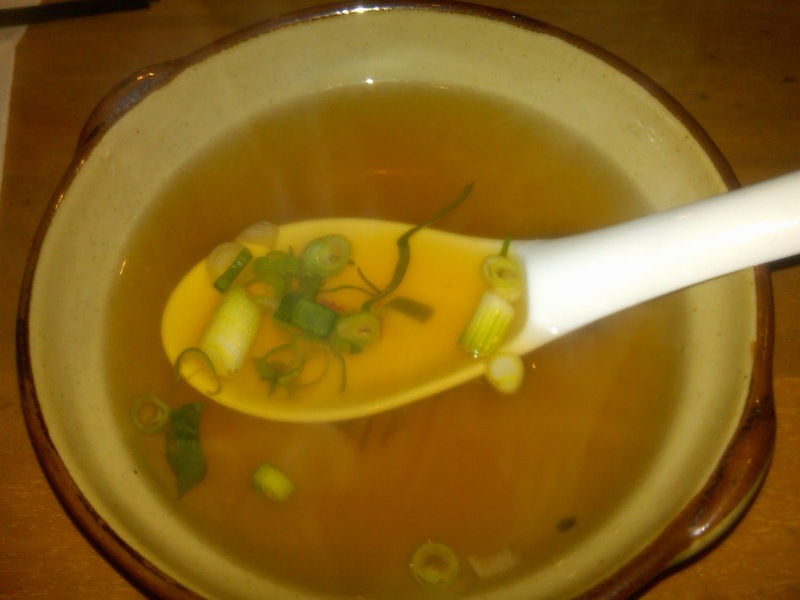 Next, I had the famous Benihana soup. I was assured there is no gluten in my version (typically there are breaded onions, but, they are put in right before serving, make sure you ask for no breaded onions). 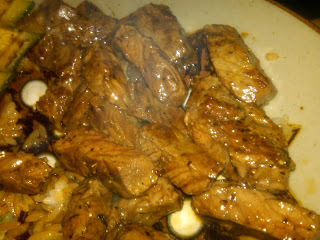 The broth is a beef broth, and I was informed its marinated for a very long time to get the rich savory taste it has. 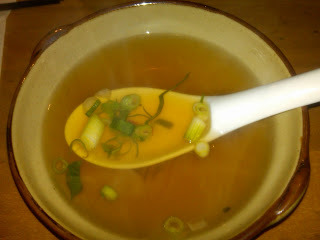 I love scallions, and they are a perfect addition to the soup. 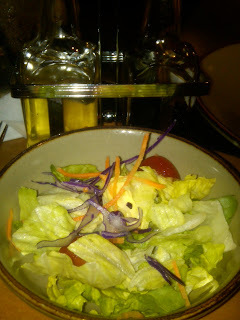 Salad is the next course, it typically comes with a ginger dressing, which us GF folk cannot enjoy, no fear, Benhiana will provide oil and vinegar, which does just fine with this salad. The chef begins by making chicken fried rice (for those that order side orders of it, I say it's a MUST, it's my favorite part of the meal). 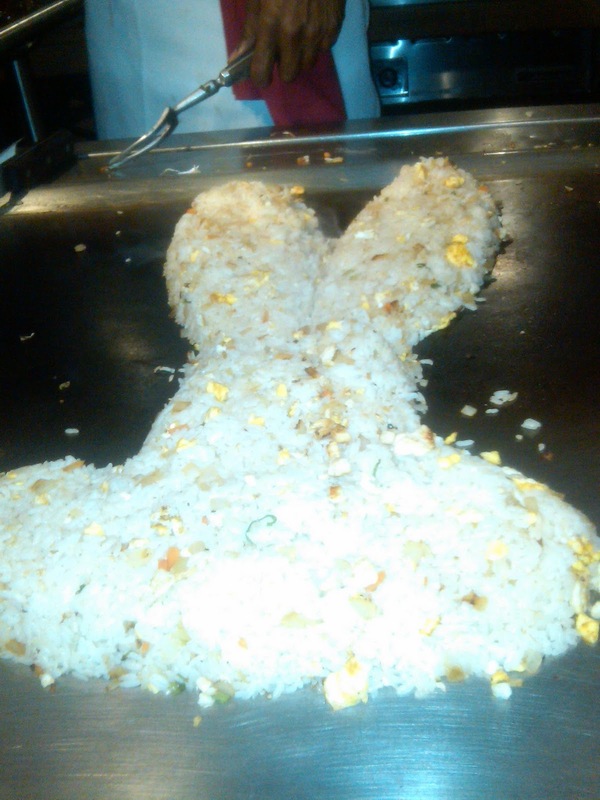 As I said before, the chefs are really there to make sure you enjoy your experience, here, are our chef made a bunny for us out of the fried rice. 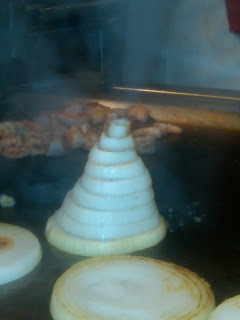 Our chef was great, he continued by making a volcano out of the onions! Many, many years ago, Benihana would make REAL FIRES out of the onions, it was really cool. Now, they don't take on the liability and you just get some smoke out of the onion, still cool. The main course, Hibachi Steak! 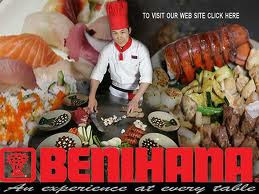 Benihana was running a special 2 for $37, which includes the soup, salad, white rice, veges, steak and dessert. Not a bad deal! Last up, for desert, I had fruit, the pineapples were delicious! Benihana always hits a home run with me, and the fact that they used a special spatula just to cook my food, cooked it on a separate side away from everyone else's, and used my soy sauce proves just how accommodating they will be! THUMBS UP!! For those interested to learn more about Benihana's founder Rocky Aoki, this book is all about him and his journey. Does anyone know if their green tea ice cream is GF? Many mochi ice creams have wheat starch on the outside, but not always.